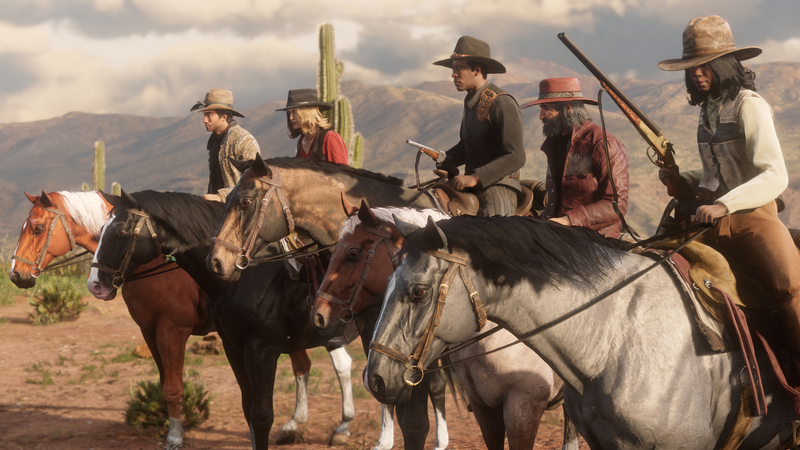 Red Dead Online‘s newest update brings with it another all new Showdown Mode. In addition to new items and supplies, Ability Cards got a huge new boost, as well. Things are going to get smokey. The new Showdown Mode is known as “Up in Smoke.” True to its name, it centers around explosives. The mode pits two teams against each other, each wanting to destroy the opposing team’s base. Each player taking part starts the game with an explosive package, and their mission is to bring it to the other side. Doing so will result in an explosion that will help take your opponents down. You’ll have to win by bringing all of your explosives to the other team’s base, therefore destroying it completely. More Showdown modes are continuing to be added to Red Dead Online, with Up in Smoke only being the latest. Previous new modes include the loot-centric Spoils of War. In addition, a third showdown mode called Plunder is on the way. That’s not the only change in Red Dead Online this week, however. Ability Cards have a 30% XP boost for this week. As Ability Cards have three tiers, this makes it easier to work your way through them, and therefore easier to upgrade your abilities. In addition, plenty of new items are introduced at Wheeler, Rawson and Co., including the Winter Shotgun Coat, Benbow Jacket, and Manteca Hat. Because there’s no such thing as being too stylish in the Wild West, right? While that’s all this update includes, Rockstar does promise more information on the big spring update will be released in the near future. That update will introduce a new “Hostility System,” among other big additions. Red Dead Online certainly looks to have an exciting future ahead, but we’ll see what lays ahead on the frontier in the coming weeks. Are you excited to try out this new mode? Let us know!